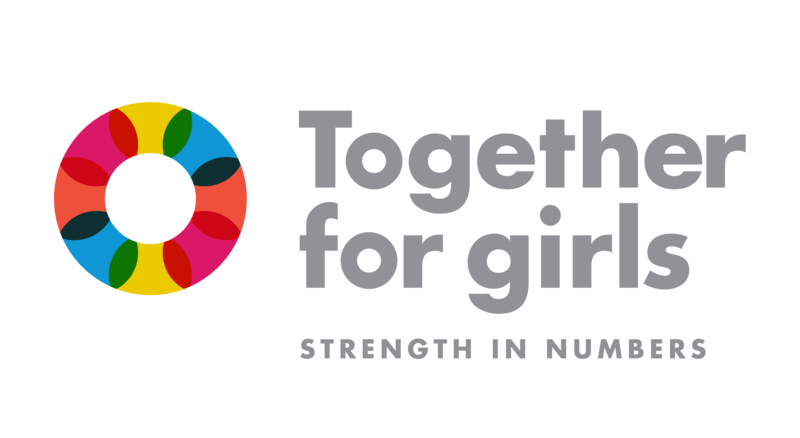 Together for Girls (TfG) is a global public-private partnership dedicated to ending violence against girls and boys, with a particular focus on sexual violence against girls. Our growing partnership is currently active in more than 20 countries in Africa, Asia, Latin America and the Caribbean, and Eastern Europe. Founded in 2009 by Gary Cohen, the TfG partnership brings together six UN entities, the governments of the United States and Canada, several private sector organizations, and implementing country governments. UN partners include UNICEF, UNAIDS, UN Women, WHO/PAHO, UNFPA, and the Office of the Special Representative of the Secretary-General on Violence Against Children. The United States and Canada are represented by their respective agencies: the U.S. Centers for Disease Control and Prevention; the U.S. President’s Emergency Plan for AIDS Relief (PEPFAR); the U.S. Agency for International Development (USAID); and Global Affairs Canada (GAC). Our private sector partners are BD (Becton, Dickinson and Company), Cummins&Partners, the CDC Foundation, and the Global Partnership to End Violence Against Children. TfG is a partnership among national governments, UN entities and private sector organizations working at the intersection of violence against children (VAC) and violence against women (VAW), with special attention to sexual violence against girls, in all its forms. We envision a world where every child, adolescent and young person is safe, protected and thriving. We apply a gender and life-course perspective to our work and seek to identify the specific needs and vulnerabilities of both girls and boys. We pay particular attention to adolescent girls because they are more vulnerable to sexual violence, and because they often remain invisible. We recognize that boys experience violence, and that focusing on them is essential– both because their rights and well-being are equally important and because they play an important role in breaking cycles of violence, transforming gender roles and achieving gender equality. Data: National Violence Against Children Surveys (VACS), led by CDC as part of the TfG partnership, to document the magnitude, nature and impact of physical, emotional, and sexual violence against girls and boys. Action: Comprehensive, evidence-based, coordinated policy and programme actions across sectors in countries to address issues identified through data, under the leadership of national governments, with overall coordination and technical support led by UNICEF. Multi-sectoral responses include legal and policy reform, improved services for girls and boys who have experienced violence, and prevention programs. Advocacy: Global communications to raise awareness about the problem, promote evidence-based solutions, and provide a platform for survivors, young people, and advocates to share their stories. TfG has a small Secretariat at the UNAIDS office in Washington, D.C. The role of the Secretariat is to manage and support the global partnership in order to facilitate the achievement of partnership goals and objectives, largely through coordination, fundraising and communications efforts. The Secretariat does not have an in-country presence but rather works through our large implementing partner agencies. The Senior Advisor will be supervised by and report to the CEO/Executive Director of TfG, with the majority of tasks to be undertaken in collaboration with implementing partners at headquarters and in the field, other secretariat staff, and primary stakeholder groups. The position may be based in Washington, D.C or New York City, with 15-20% travel. Be fully familiar with country-level VACS data, national action plans (where they exist), country program teams, other key documents and processes, including fundraising documents, success stories etc. Monitor and report on progress, success stories etc. Identify and support the dissemination of critical findings. Candidate must have the ability to work in the U.S. through citizenship or green card. Please send CVs and expressions of interest to Sandie Taylor (Sandie@togetherforgirls.org) by May 15, 2018.